Everybody loves to support their school. But sometimes we also love to support the schools we want to go to. We mean Hogwarts of course. We all want to go to the school of witchcraft, and wizardry. And we want to show support for the school we want to attend. And how do people show their support? With banners of course! This Harry Potter Hogwarts Banner will match the rest of your house perfectly. The colors, and mascots of all four houses are represented on the banner. 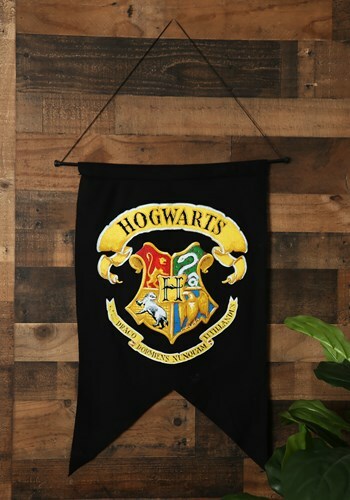 So, even if you don't get an owl inviting you to Hogwarts, you can still show your love for the school, and all the houses at any event, such as Quidditch matches, and underground wizarding tournaments. But we are still hoping that an owl will drop off our invitation to join that magical school.